The Committee to Stop the Special Interest Water Grab, led by David Guy, president of the Northern California Water Association, Tim Johnson, president of the California Rice Commission and a “contract administrator” at California Rice Industry Association, and political operative Steve Maviglio of Forza Communications and big supporter of High Speed Rail, have launched an all-out assault campaign against the California Water Priorities Initiative. The Water Grab Committee leadership based their claims on statements that they knew were previously proven false. 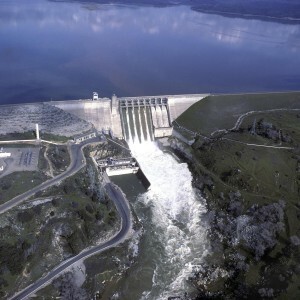 Those remarks were made by small-farmer advocate Manuel Cunha, president of Fresno-based Nisei Farmers League, Mario Santoyo, and Steve Worthley, interim-executive director of the new San Joaquin Valley Water Infrastructure Joint Powers Authority, Tulare County Supervisor and president of the JPA. Board minutes of the JPA indicate that the JPA’s board has yet to take a formal position on the California Water Priorities Initiative. No minutes exist showing that Nisei Farmers League board or members ever voted to oppose the measure either. Neither the JPA nor League ever granted authority to Cunha, Santoyo or Worthley to speak officially for their organizations with respect to the ballot measure. Of all of the interview requests to members of the JPA Board, only Dave Rogers, Madera County Supervisor and JPA member, returned my call. Rogers said he’s been a vocal critique of High Speed Rail for more than six years. During a recent radio interview, Rogers volunteered that he supports the Water for All initiative. Several members of Nisei Farmers League reportedly told sponsors of the ballot measure that the League meets only rarely, and that neither Manuel Cunha nor Mario Santoyo had consulted them before they and Supervisor Worthley made their remarks on behalf of the League during an interview published by the Fresno Bee. 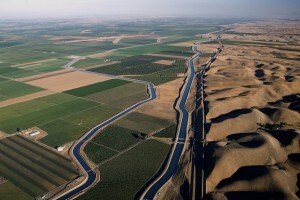 California needs water storage. That is not news. What is news are the individuals and political alliances created to stop the California Water Priorities Initiative and the motivations behind their efforts. Motives range from being in the good graces of Sacramento’s political elite power brokers, to the business of selling water instead of growing crops, and to supporting the High Speed Rail Authority and defending its resources against attack. In the coming days, I will shed light on the players and their motivations behind this latest California Water War. This entry was posted on Tuesday, March 29th, 2016 at 12:48 pm and is filed under Blog Posts.